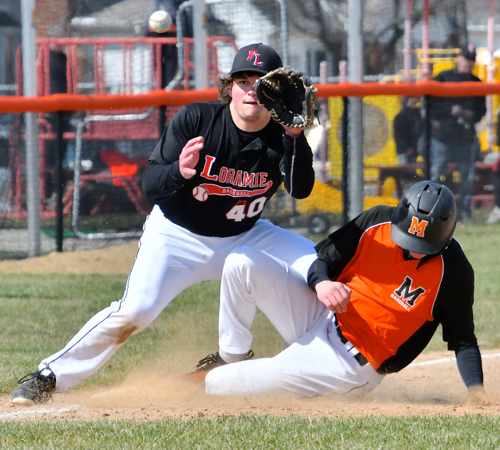 Sixth-inning rally sends Minster to confidence-boosting win over previously undefeated Fort Loramie. 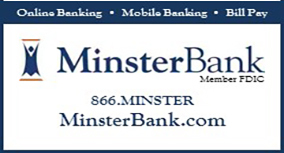 Minster – It’s one of the perks, if you want to call it that, of being the Division IV baseball defending state champions. “Other teams throw their No. 1 (pitchers) at us more. That’s probably the biggest thing,” Minster senior Isaac Schmiesing said of having opponents circle the Wildcats on the schedule this season. And on a cold, but finally sunny afternoon – the first-pitch temperature was 35 degrees – that’s exactly what the Wildcats got from Fort Loramie. 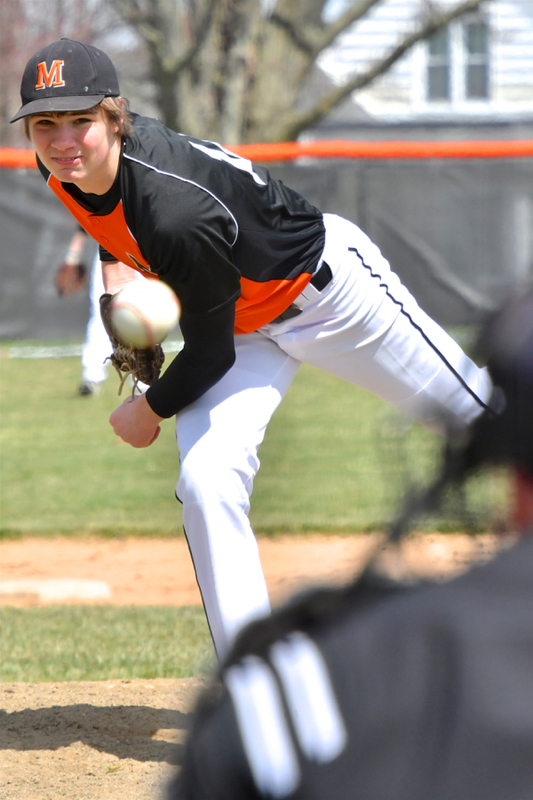 Redskins junior left-hander Jared Middendorf kept the Wildcats off balance with his high-arcing 70-mph curveball and his 80-mph fastball through five scoreless innings. His counterpart, junior Jack Heitbrink, nearly matched Middendorf’s effort with four innings of one-run ball. August Boehnlein’s bunt allowed him to make it to first-base and drive in Alex Lehmkuhl. Fort Loramie entered the game with all eight position players hitting .300 or better. Heitbrink, who ran into trouble in the second inning before leaving the bases loaded, did his part to limit the damage to a 2-0 deficit through five innings. 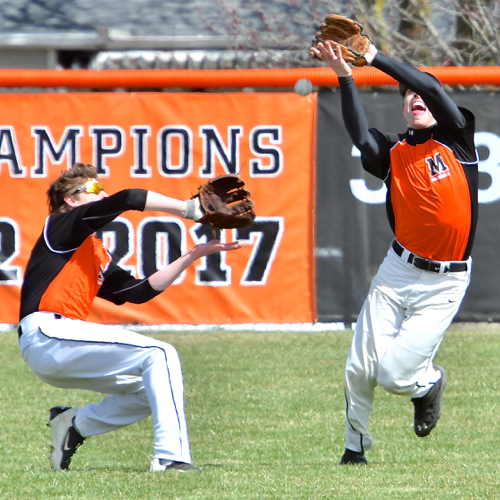 Then Minster’s offense – highlighted by five returning starters from the D-IV state championship game – finally reached Middendorf. The lefty had allowed three hits and no runs through the first five innings. But in the sixth the Wildcats put their first six batters on base against him. Alex Lehmkuhl led off with a single past second base and reached third base on a pair of pitches in the dirt. Jared Huelsman was hit by a pitch. August Boehnlein placed a slow bunt down the first-base line. Both Middendorf and first baseman CJ Billing charged the ball hit perfectly between them. And by the time Billing fielded the ball Boehnlein had already sprinted past leaving the Redskins with no play, allowing Lehmkuhl to score. 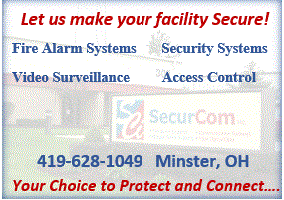 A Minster runner called out at home after getting the “GO” signal to score. Heitbrink walked to load the bases. Austin Shinaberry singled to right field to tie the game at 2-2. Adam Knapke, with the Fort Loramie infield playing in, hit a hard grounder that handcuffed the third baseman making it 3-2. Eli Rosengarten relieved Middendorf and struck out the first batter he faced looking. But Jack Olberding followed with another infield single that couldn’t be backhanded at second base and the 4-2 lead. Schmiesing provided the final two runs with single to center field. 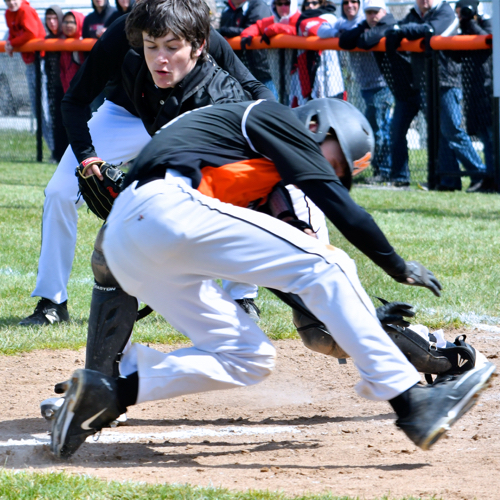 Isaac Schmiesing is safe at third base after outrunning the throw from Ft Loramie’s catcher. Middendorf allowed six runs on seven hits through four innings. He struck out nine, walked two and hit two batters. He threw 104 pitches, including 63 for strikes. 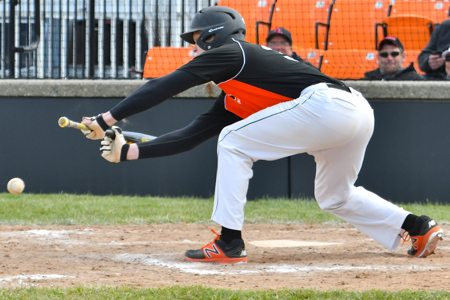 When Minster loaded the bases with no outs, Fort Loramie coach Jeff Sanders said Middendorf gave the Redskins the best chance to escape the jam. Fort Loramie took a 1-0 lead in the second inning on Devin Wehrman’s two-out single that scored Carter Mescher. The Redskins led 2-0 in the fifth when Mescher’s fly ball was dropped after the Wildcats’ right and center fielders nearly collided to score Dylan Albers. The Redskins led 2-0 in the fifth when Carter Mescher’s fly ball was dropped. Heitbrink – who pitched to the first two batters in the fifth – allowed four hits and two runs in four innings. He struck out one, walked two and hit a batter. He threw 51 of his 85 pitches for strikes. Noah Enneking relieved Heitbrink and recorded three straight outs on grounders. He allowed a one-out double to Mescher in the sixth before striking out two to end the inning. Lehmkuhl pitched an efficient six-pitch seventh inning to end it. The win moved Minster to 5-1. The loss was Fort Loramie’s first of the season at 4-1. 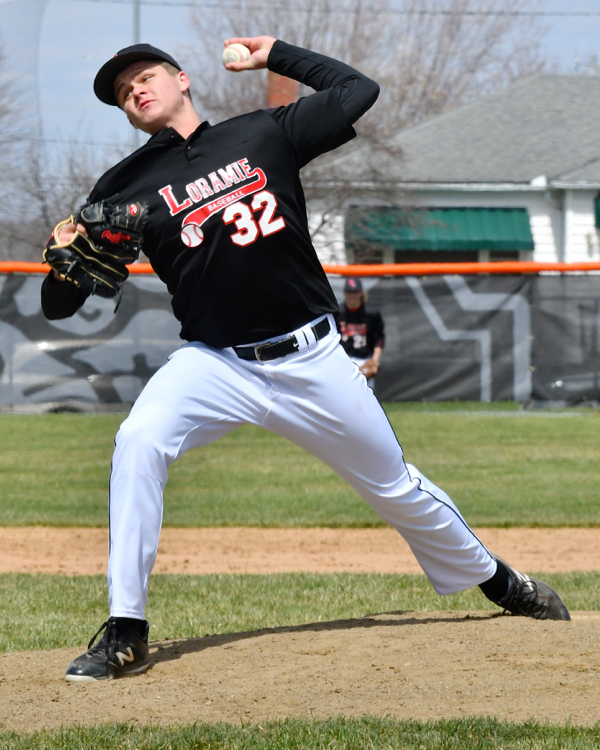 Loramie’s pitcher Jared Middendorf gave up 7 hits, 6 runs, 9 strikeouts, 2 walks, 2 hit batters in five innings.